Appearance: Coffee brown with a robust foamy head on first pour. Nose: Malt, balsamic vinegar, clove. Finish: Fairly clean and short but with old, ashy oak that lingers for a long time. 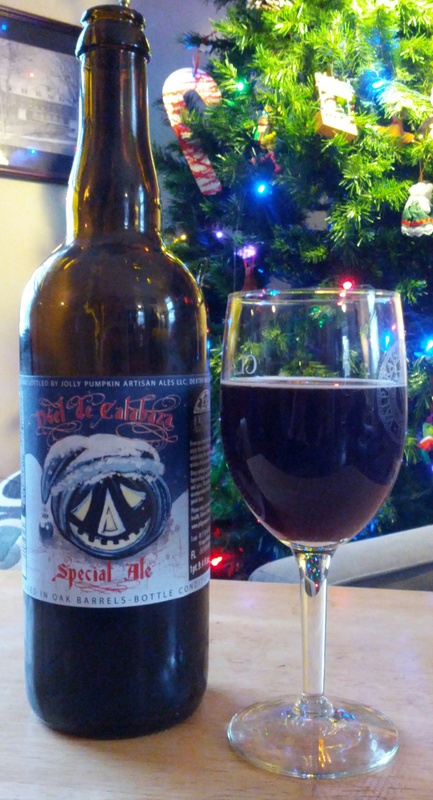 Parting words: Noel de Calabaza is another holiday beer that defies expectations. It’s sour but in a more subtle way than many from Jolly Pumpkin. The oak rounds the whole thing out nicely. As you can tell from my notes above, it reminded me a lot of balsamic vinegar, the good aged kind. It doesn’t strike me as a particularly festive beer, but it’s really good. The price is acceptable. Noel de Calabaza is reccomended. Previous Post Statement regarding the use of images on this blog.